Passed into the arms of our Savior Jesus Christ on the morning of October 25, 2010. She is survived by her sister Ima Waldvogel, brother Tony Tatro, daughter and son-in-law James and Sandra Ludden, her son John Janssen, 5 grandchildren; Jason Ludden, James Ludden, John Ludden, Jennifer Janssen, Richard Janssen and 4 great-grandchildren; Mikayla and Austin and Hayden and Connor. She was preceded in death by her husbands Richard Janssen and Herbert Horn, brothers Red, Bill and Cliff and sisters Gerry, Ranona and Luella. In lieu of flowers the family suggests a donation to Scottsdale Healthcare Osborn Hospital. We will all miss her dearly. There will be a Rosary at 2:30 pm, Saturday, October 30, at Whitney & Murphy Funeral Home, 4800 E. Indian School Road. Interment will take place in Phlox, Wisconsin. 52, of Phoenix, AZ passed away on October 24, 2010. Greg was a Computer Programmer for 14 years and worked for America West in the Records Department for 8 years. He enjoyed being around people and taking pride in his work. Greg’s favorite pastimes included riding his bike, driving his Camaro (his CB call name was ‘Mr. Magoo’), traveling to the beach with his family, and watching golf. Without complaining, he battled two difficult diseases most of his life. His strength, perseverance, love, and laughter will be missed. Greg is survived by his beloved wife Dana, of 20 years; son Daniel 17, mother Gretchen Deniger, sister Tina Rhodes, brother Todd (Laura) Deniger, 2 nieces, 4 nephews, and best friend Jay Willard. 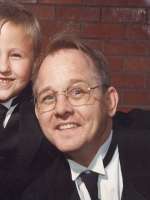 Preceded in death by his father Richard Deniger and sister Diane. Private Service will be held. Memorial donations may be made to the National Ataxia Foundation designated to SCA2, 2600 Fernbrook Lane, #119, Minneapolis, MN, 55447. Born July 2, 1929 in Whitehall Illinois to George and Nelle Winn. The first of 3 children, George, Jerry and Shirley. George attended Litchfield High and Phoenix College, worked at Goodyear Aircraft like his father and, after many years, went into business with his father at Farmers Insurance. He is survived by his son Michael (Lora)Winn, step-daughter Sharon Kaylor, grandchildren Samantha Winn (Gary) Marcantonio, Michelle Winn (Mathew)Young , Maxwell Winn and Sarah Kaylor Mills, great-grandchildren, Emma Marcantonio, Ethan Marcantonio, Austin Young and Maya Mills. George is survived by his sister Shirley Winn (William)Williams, his niece Janelle and nephew William Williams. 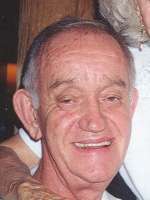 George suffered a heart attack and died October 22, 2010 at Scottsdale Healthcare Shea Hospital. Funeral Service will be at 11:00am, Friday, October 29 at Whitney & Murphy Funeral Home, 4800 N. Indian School Rd. Interment will follow at Greenwood Memory Lawn Cemetary. went home to God on October 25, 2010, surrounded by his loving family after a brief but valiant fight against squamous cell carcinoma. Hal was born March 21, 1945, and grew up in Anaheim, California. He graduated from St. Boniface School, Mater Dei High School (‘63), Santa Clara University (‘67) and Loyola Law School (’74). 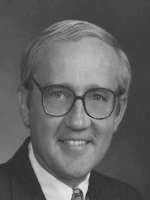 He naturally gravitated to leadership positions, being student body president in both high school and college.Hal moved to Arizona in 1980 and was a well respected attorney in the valley until the time of his death. He loved sports, and played basketball in high school and college. He especially loved his Arizona Cardinals. He valued his Catholic faith and a life of service. He was actively involved in Christians In Commerce (CIC), a men’s fellowship and bible study, for over twenty years. Through this group he grew his faith and established life long brothers in Christ. Hal valued education and served on the Wilson School Coalition in Phoenix and was an active participant in the founding of St. Andrew’s Catholic School in Show Low, Arizona. Hal loved people and always enjoyed being with others. He had a wonderful sense of humor, playful spirit and an infectious laugh. His biggest joy in life was hearing friends and strangers share stories of their families and lives. Hal is survived by his wife, Barbara Appenzeller, son Brian Mack, daughter Eileen Mack Hanson, mother, Frances Mack Ahern, four grandsons, and the large and beloved Mack and Ahern families.We were truly blessed to have this wonderful man in our lives. It was far to little time and he will be missed by all who know him. Funeral Service will be held at 12:00 Noon, Saturday, October 30, 2010 at Brophy Chapel, 4701 North Central Avenue, Phoenix, Arizona 85012. In lieu of flowers, contributions can be made to St. Anthony School (928-537-4497; 1400 E. Owens, Show Low, AZ 85901) or Hospice of the Valley (602-530-6992; 1510 E. Flower St., Phoenix, Arizona 85014). 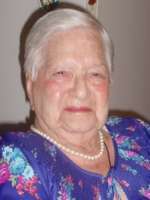 Born and married to Arizona pioneer families, Lois Humphrey Bonsall died peacefully at age 90 on October 19, 2010. She was an adored wife, mother, grandmother and friend. All who met her liked her; she embraced them with a loving heart, a kind word and an unforgettable smile. Hers was an upbeat and cheerful orientation to life. She met life’s challenges with strength and faith and a positive disposition. Lois was raised in the Phoenix Palmcroft neighborhood. She attended Kenilworth Elementary and Phoenix Union High School, where she was active in student government and proudly graduated as the salutatorian of her class. She then attended Phoenix Junior College to meet her “soulmate” and the great love of her life, Harry Bonsall, Jr. They were subsequently married and completed their studies together at the University of Arizona. While the men in her families were deeply involved in Arizona agriculture, Lois’ love of education was inherited from her mother, who was among the first female graduates of Arizona Teachers College (now ASU). Following her own graduation, Lois moved to Glendale and began teaching at the local grammar school. Her career was interrupted by the births of four children and by raising them to young adulthood. But, she loved children and teaching and returned to the classroom to excel and to become a beloved third grade teacher to hundreds of west side children. 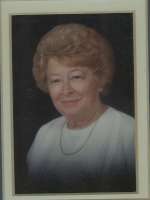 Lois was active in numerous Glendale school, church and social organizations. Children were the main focus of her caring. Among many of her sponsored activities, Lois’ annual Easter Egg party is a fond memory to a generation of Phoenix and Glendale youth. She is survived by four children … Harry III (Gena), Mary Ann (Jim O’Neil), Bill (Nancy) and Mark (Mary). Eleven grandchildren, three great grandchildren, two sisters-in-law and many nieces and nephews also survive her loss. She will be laid to rest next to our father in a Private Graveside Service. Her family is grateful for the many legacies Lois’ rich and long life has left: The beauty of the union between her and our father, genuine friendship, respect for each person, loving and gracious ways, affirming praise, great faith and good example. We also gratefully acknowledge the extraordinary, affectionate care and support to our mother by Hospice of the Valley. And, similarly, we thank the Beatitudes Campus of Care. born 9/2/16, took flight on Oct. 16, 2010. Her daughter was by her side, as she quietly passed away. 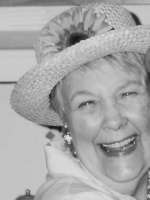 Betsy’s passions were the arts, education, sports and entertaining, but mostly love of family and instilling family traditions. Besides being an artist, she was known as sharp witted, humorous and having an eye for detail. Brilliant sky-blue eyes that flashed beneath a wide complement of hats was her signature; as was driving her 280Z around Phoenix well into her 80s. “One classy lady” was a remark often made, and sometimes, “one tough broad”. Along with her husband Bill, she raised 3 children, Darrel, Derek & Deborah, in Los Angeles, CA. She is survived by Darrel & Deborah, 10 grandchildren: Nathan, Corbett, Leslie, Elliott, Ian, Marcie, Allissa, Sarah, Shannon, Stacie, and 4 great grandchildren. She leaves many fond memories for her family and friends to reflect upon and cherish. Betsy loved the Phoenix Art Museum and the many people she got to know there. 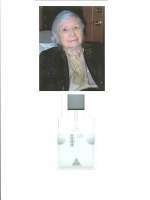 She was a dedicated docent for several years. In lieu of flowers, please consider a donation to: Phoenix Art Museum, Attn: Development Dept., 1625 N. Central, Phx, AZ 85004. On the memo line, note: In memory of Elizabeth (Betsy) Moss. A memorial service will be held on Monday, Oct. 25, 2010, at 12:30pm, at Whitney & Murphy, 4800 E. Indian School, Phx, 85018. In loving memory of our dear mother Elizabeth Mary Redican, nee DeSchryver, of New York City and late of Phoenix, who was born May 17, 1918, in Manhattan, NY, and died at 92, October 18, 2010, in Phoenix, AZ. She married Kenneth William Redican in 1946. Betty came to Phoenix in 1960 to start a new life. She never failed in her love or duty to her children, who will always cherish her memory. Survived by her children: Thomas Patrick of Long Beach, CA, William Kenneth of San Francisco, CA, and Mary Ann Kurrasch of Phoenix, AZ, as well as four grandchildren: Patrick, Dana, Brian and Gina Redican. For their compassionate care of our mother in the last years of her life, we are grateful to Family Elder Care and the Ryan Center in Phoenix. Special remembrance is given to her sister-in-law, Elizabeth DeSchryver of Huntington Station, Long Island, NY, and Mary Dunleavy, of Cloonagh, Sligo, Ireland. Funeral Mass will be held at 10am, Friday, October 22, at St. Theresa Catholic Church, 5045 E. Thomas Road, Phoenix. Interment will follow at St. Francis Catholic Cemetery. distinguished physician in Scottsdale for 18 years, passed away October 19 of a cerebral hemorrhage. He was 66. 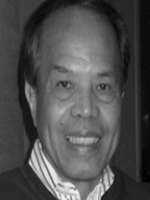 Born in Mandaue City, Cebu, he received a medical degree from the University of the Philippines, before immigrating to the U.S. in 1971. Aurelio completed internal medicine residency training at Mount Sinai Hospital and a hematology fellowship at Northwestern University Medical Center. From 1976 to 1991, he established a hematology/oncology private practice in Chicago. While there, Dr. Tiro held Chairmanships of the Department of Medicine and The Medical Committee at MacNeal and Walther Memorial Hospitals. In 1992, Aurelio relocated his family to Arizona to join Scottsdale Medical Specialists (now Scottsdale Cancer Center). He was Chairman of the Cancer Committee at Scottsdale Healthcare Osborn from 1994 to 1996. Aurelio’s passion for medicine was equally matched with his love for tennis, opera, and discussions of current events. In January, he suffered a traumatic brain injury. Striving to recover, his efforts abruptly ended this weekend. He is survived by his wife of 37 years, Lourdes, his children David, Alexander, Jasmin and her husband John, his grandchildren, Marina and Atticus, his parents, Aurelio and Narcissa, and his siblings, Agnes, Allan, and Marilyn. A gathering will be held this Friday, October 22, from 5 to 8:30 pm at Whitney & Murphy Funeral Home, 4800 E. Indian School Rd. Memorial Mass will take place 1 pm Saturday at Brophy Chapel, 4701 N Central Ave. In lieu of flowers, the family has requested that donations to extend his legacy of caring for cancer patients without financial resources be made to Scottsdale Healthcare Foundation, 10001 N. 92nd Street #121, Scottsdale, AZ 85258.